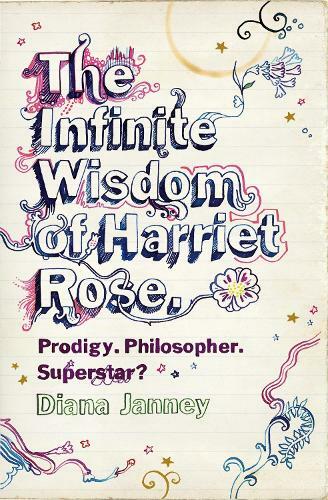 Harriet Rose, like any other teenager, is naive, overconfident and has always felt she has something important to say. However, unlike most of her peers, her hero is Marcus Aurelius, in imitation of whom she has been composing philosophical reflections on life for some time. When Harriet's father dies, the urge to write these meditations is greater than ever. Then, on her fourteenth birthday, she receives a unique gift. Her doting mother and grandmother have had her by-now-substantial collection of meditations published. Having appointed themselves roles - Mother: publicist; Nana: sales rep; Harriet: esteemed author - they vow to get the book into the hands of a wide readership. Once this formidable team gets into gear, there's no holding back, and Harriet is hurled into a lifestyle that not even she, in all her infinite wisdom, could have been prepared for. Bookshop orders soon stack up, and Harriet is plunged into a whirlwind of launch parties, newspaper coverage and television appearances. But is all this attention exactly what she thinks? And, more importantly, can her happiness - or her naivete - last?